Longa 36060 Vicenza, North East/Venetian area of Italy. Q. How long have you been designing tiles/stones? Since 1989, during my first evening design school course. Q. 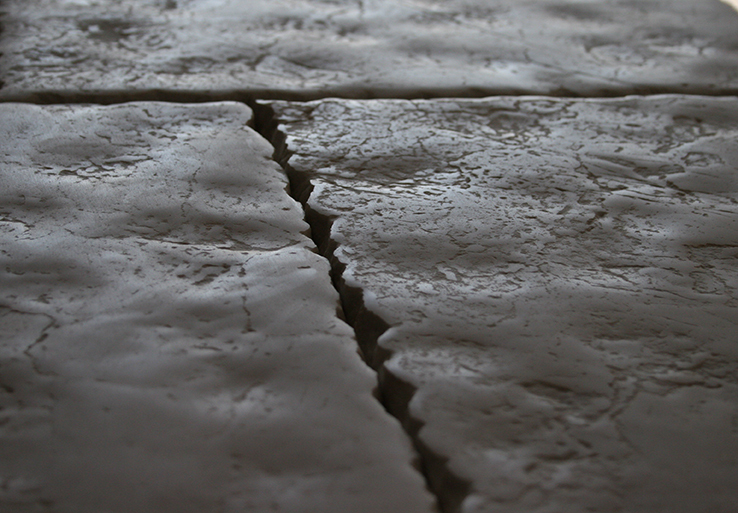 Briefly tell us how you became interested in the tile/stone design business? I began my career at the age of 14 by operating in the marble sector as a laborer. At 16, I was capable of independently completing flooring products within my older brother’s business. In 1984 at the age of 18, I entered into a business partnership with my brother by establishing F.LLI Barbieri as the company had already begun to produce tumbled marbles for its own projects. Subsequently, at the age of 22, I began evening classes for interior design and successfully completed 2 three-year-courses between 1989 and 1997. During that time, I achieved outstanding results in collaboration with the architects that were teaching the classes in the building site/projects. These collaborations resulted in a strong period of progression in which I was the sole developer of the projects and the only supplier of marble tiles which derived exclusively from the family stone business. I also began personally realizing and/or supervising the installations to ensure the satisfaction of the final customer. My focus later turned to the production process of new products; initially for the local market then expanding all the way to the United States, thanks in particular to the excellent design understanding in Research & Development as well as the marketing of my products through American distributors. Many patents have been developed since the end of 90s, such as decoration methods and those pertaining to industrial procedures. Without doubt the most important developments have been the surface finishing known as Marmo Antico Lucido; Framenti Borders; Timeworn Marble and the Serie Storica. Further, I participated in numerous contemporary art competitions, receiving a special mention in Torino in 2003 for exclusive decorative panels, created in collaboration with Roberto Lanaro. In 2008, new products and collections were well received, especially in the American market but also beyond. One of the major announcements of this year was when the Ambra Collection received an architecture award through Architectural Record magazine, which nominated the Ambra Collection among one of the 8 best construction products in the USA. Ambra Collection was also exhibited at the Triennale Design Museum in Milan for more than one year. 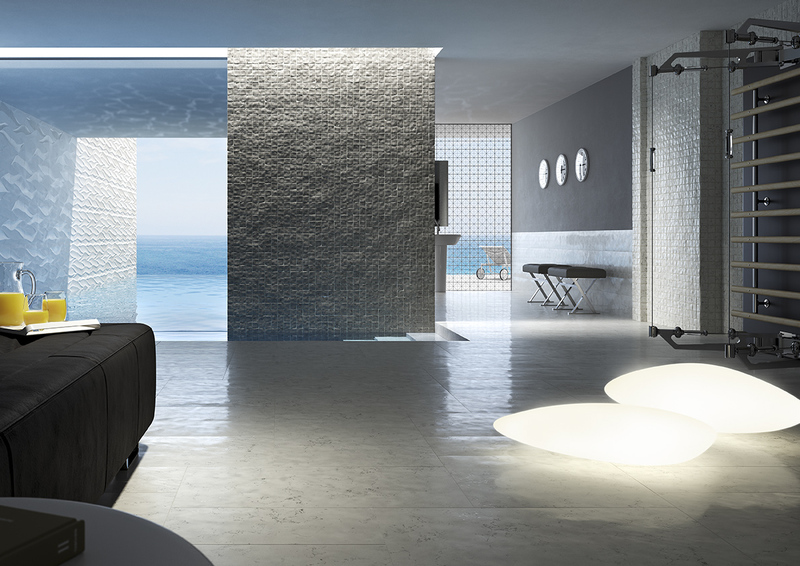 Ambra Collection of three-dimensional porcelain tile named Interior Design magazine’s 2013 Best of Year award in Hard Surfaces category. In 2010, Sara Baldwin of New Ravenna Mosaics and I worked in collaboration and developed Timeworn Mosaics, engineered 3D marble tiles, handmade Tuscan Terracotta and Murano Glass polished relief inlay. This beautiful glass inlay technology was selected as one of the excellent products of “Made in Italy” in 2013 and was exhibited at the Triennale Design Museum in Milan. 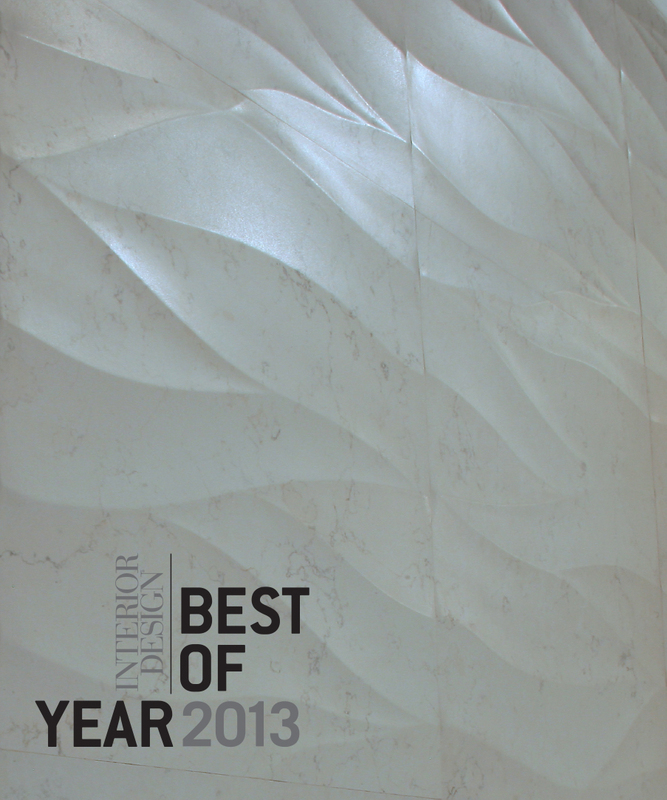 Moreover, in 2013, Interior Design magazine named me winner of their Best of the Year award for the Hard Surface category. 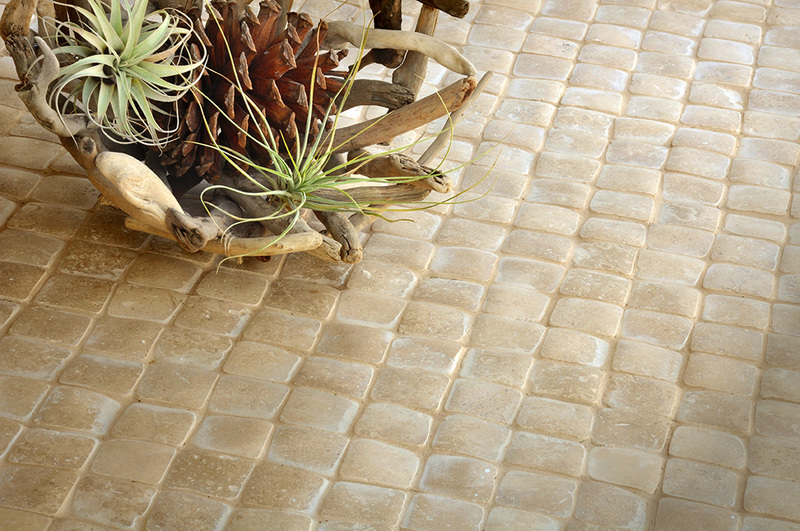 The Memento Collection, produced by Ceramica Vallelunga, was the first porcelain tile and mosaic collection that exhibited a genuine true reproduction of antiqued natural stone floors with a surface that replicated the natural wear pattern and patina of hundreds of years of foot traffic. Many things: the most important is that I believe you have to naturally be aware of and have the capacity to anticipate and understand what the market needs. Thanks to my infinite passion and research, as well as my travels to many locations and exhibitions, I am constantly inspired by my surroundings, such as museum and galleries, as well as stone tile showrooms all over world. Stone is of course my preferred material, but lately, I have fallen in love with handmade terracotta made by the artisans in Tuscany, Umbria and Mantova, as well as the beautiful glass creations by the craftsmen in Murano and Venice. I really believe word of mouth is still the best method of people discovering my art. Q. 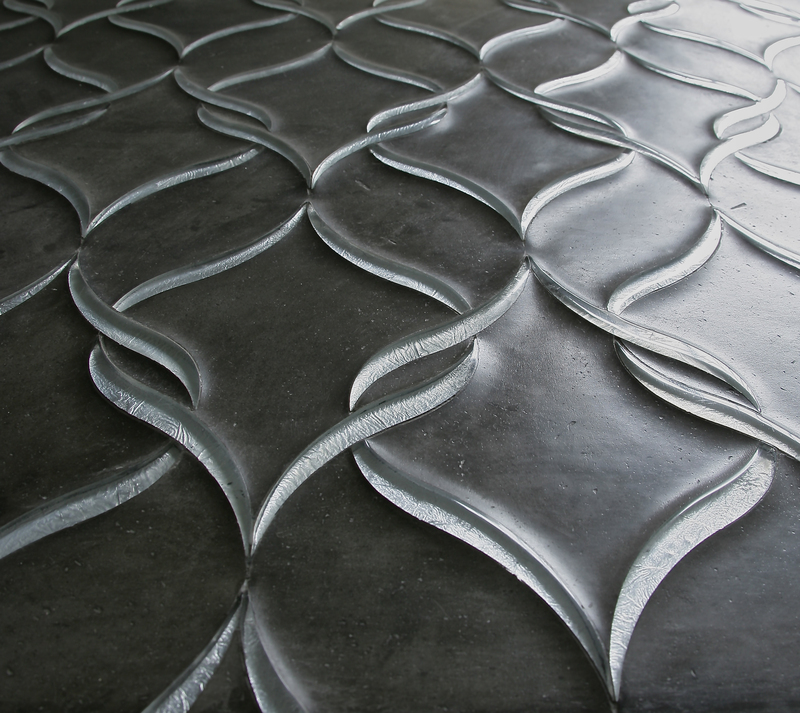 Please include anything you would like our readers to know to better understand your passion for designing tile/stone. I am very lucky because I still really enjoy my work and what I do. My experience started with nothing at the age of 14, which in turn obligated me to live through all steps, similar to a waiter in a restaurant who later goes onto owning the restaurant. I believe this is extremely important because if I hadn’t started in this manner, I would have never been able to appreciate and understand my craft. Thankfully, from the onset, my parents allowed me to pursue my passion, which isn’t easy in Italy. With hard work, the satisfaction I have received through my craft is priceless.